BCAA stands for branched chain amino acid, and you can purchase BCAA supplements for weight loss and overall wellness. What are some of the benefits of taking BCAA supplements for weight loss, in particular? Keep reading to access some helpful information if you are looking for a natural supplement that can help you slim down. If you typically lack the energy to follow a consistent workout routine—which is an important component to any effective weight loss program—taking BCAA supplements might help. When taken before your exercise routine, these supplements can help give you the energy to get through a tough workout, and that will help you achieve increased calorie and fat burning. In addition to giving you the energy you need to get through an intense workout, taking a BCAA supplement can even help to reduce the amount of muscle soreness that you feel after your workouts. This means that you can get back onto your exercise schedule sooner, with less downtime that would otherwise result from being too sore. Many people who end up dealing with cravings for unhealthy foods also showcase low serotonin levels. 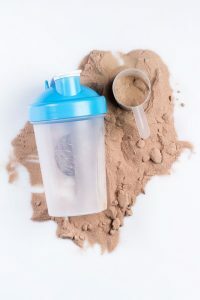 Taking a BCAA supplement, however, can help you gain greater control over your cravings, especially when combined with a regular exercise routine. That’s because the physical activity and the BCAA supplement can help boost serotonin production, thereby curbing cravings. Therefore, if you have trouble avoiding unhealthy foods because you crave them too often, taking BCAA supplements for weight loss might help you get on track and stick to a healthy diet. Increasing your muscle mass will not only help you look sexier and be stronger; it can also help you lose additional weight. BCAA supplements can help you build more muscle in a shorter amount of time, provided that you are strength training regularly. On top of that, they can help you burn through fat while preserving the muscles that you have when you are losing weight. Taking BCAA supplements for weight loss might be a great choice if you have been struggling to lose weight, but keep in mind that the best way to know if these supplements would be right for you is by talking to your doctor first.